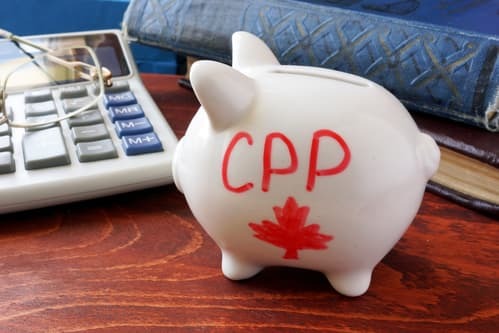 What are Canada Pension Plan Disability (CPP-D) benefits? After an injury, it may be possible to apply for and receive disability benefits under the Canada Pension Plan if you have made regular, ongoing contributions. To qualify, you must have a severe and prolonged disability. This means that you must have a mental or physical disability that regularly stops you from doing any type of substantially gainful work. The disability must also be long-term and indefinite in duration or is likely to result in death. This is a high bar to meet. How do CPP Disability benefits work with my LTD benefits? Long-term disability (LTD) insurers usually include an agreement in their policies or plans requiring an insured member who receives benefits to apply for CPP disability benefits. If the application is successful, the agreement usually gives the insurer the right to deduct the full amount of the awarded CPP, including any arrears payment, from the disability benefits that would be payable by the LTD benefits insurer. What will I be paid if my LTD insurer deducts my CPP Disability cheque? If your policy or plan allows for the insurer to offset the CPP disability payment, your LTD insurer will deduct 100% the monthly CPP disability benefit from their monthly payment to you. For example: Say your LTD disability payment amount is $2,000 a month, and you are awarded $1,200 per month from the federal government vas a CPP disability payment. Your disability insurer will offset what they have to pay by $1,200. Your monthly LTD payment will now be 800$, while the other $1,200 will come from the federal government. If for whatever reason your CPP disability payment is terminated, the LTD insurer will increase their monthly payment to the full amount of your disability benefit. Do I need to make any payments to my insurance company from the CPP benefits? This will depend on your specific policy. Generally, if you’ve signed the agreement, usually called a Direction to Pay Form, then there is nothing you must do other than to apply for CPP disability benefits. Your insurer will be notified of your successful application and be sent your arrears payment directly. As always, refer to the wording in your disability benefits policy. What if I refuse to apply for CPP disability benefits because only the insurance company will benefit? Policies can contain sub-clauses allowing the insurance company to estimate the amount of the disability benefit you could potentially win from the CPP (even if you haven’t actually applied or won) and deduct this hypothetical amount from your actual LTD benefits payments. This means you would be getting a reduced rate without the added benefit of the CPP disability payments. Even worse, your benefits provider may choose to terminate payment disability benefits due to non-compliance with the terms of the policy (i.e. failure to apply for CPP Disability). Should that occur, you could be left without any disability benefit payment and be forced to appeal the decision to terminate benefits or commence a legal claim for the wrongful decision to terminate benefits. What if I’m not sure if I signed one of these agreements? When in doubt, you must consult your policy or plan text – not simply a member booklet which contains a summary of some terms. The disability benefits provided should be well positioned to answer any questions you have about your benefits under the policy. Compliance is critical when it comes to claiming or maintaining disability benefits.